Need to stretch your iPhone/iPad app budget? Here are 44 great iPhone, iPad and iPod touch apps that just went on sale. 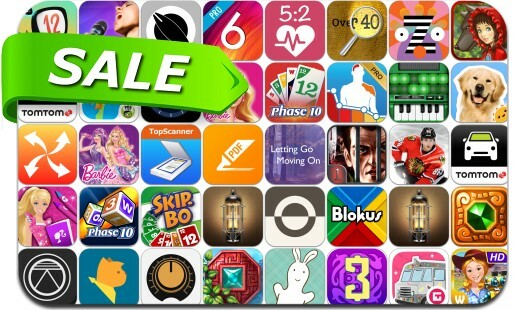 This app deal alert includes Phase 10, Fotonica, WeatherPro, Twelve a Dozen, Doggins, JamUp Pro, Gamebook Adventures 1, Patrick Kane's Hockey Classic, The Treasures of Montezuma, Bias, Time Tracker Pro, Blokus, Fonta, ZoLO and many others. Blokus™ – Attack, Block & Defend! Barbie Color, Sparkle and Style!